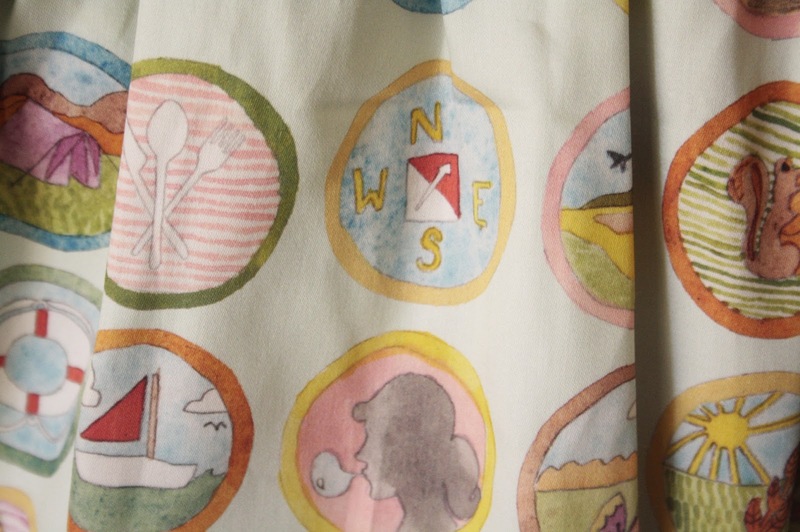 Introducing.... the Girl Scout dress! Made from a new textile print created especially for the Audrey Grace boutique. 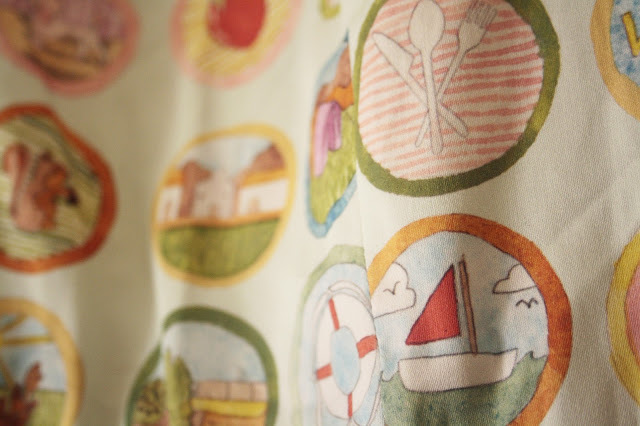 This colourful fabric design was inspired by childhood, candy wrappers, bubblegum tattoos and the sublime Wes Anderson film Moonrise Kingdom. 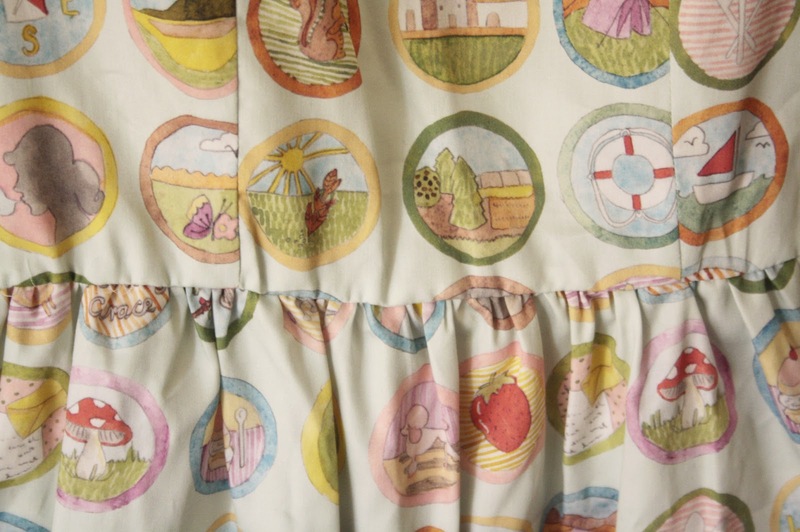 Each circular motif was adapted from my watercolour illustrations, as are all the fabrics used in my small dress label. I love working with Jaclyn Bethany, the curator of AG, because she such such a wonderful flair and passion for beautiful things, and it's also been pleasurable to take the time to experiment with different ideas and colour schemes than usual. I've actually got a few more top secret designs to share with you all during the week. 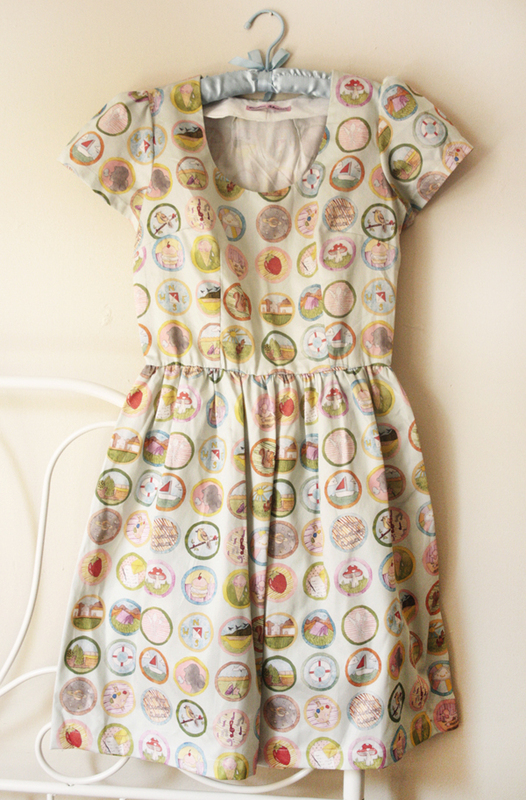 For more information about how to order one of these dresses, please email me. this is the most beautiful material i have ever seen, what a perfect garment. such sweetness! Thankyou! My ultimate dream is to have my own textile emporium one day! so many idea, so little time. how do you carry out a drawing or a design? do you make it up as you go along or do you imagine and plan it? or? i usually start with a theme and some kind of visual idea in my head - of course nothing ever looks exactly the same when you try to transfer an idea onto paper - then start drawing directly with pencil. i make lots of edits in this stage and when i've got the linework i'm happy with i fill everything in with water-colour paint. i mostly paint the things i am obsessed with at certain times, so i just pick one thing that i fancy and go from there. 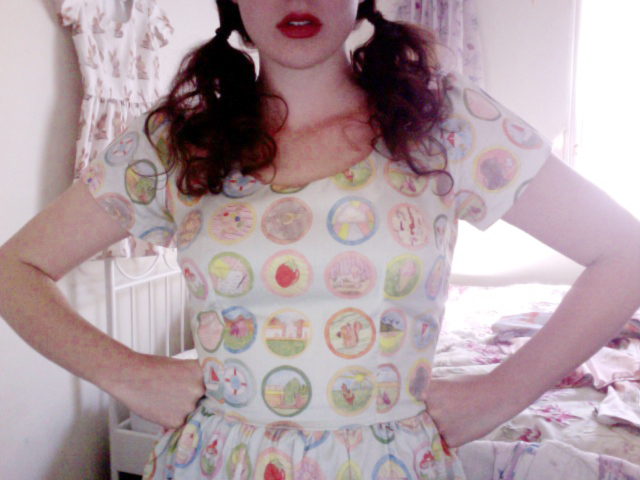 This dress makes me want to be in the brownies again. Scouts honour! Thanks Katie! 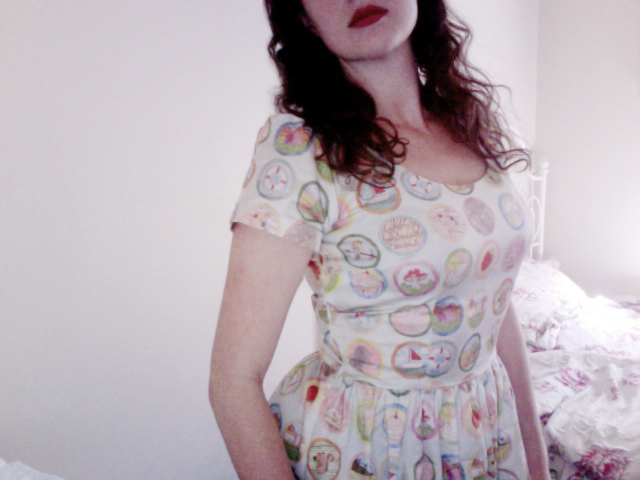 I do offer these dresses for sale so feel free to email me at caitlin.shhh@hotmail.com if you would like to snap one up. Eeegads it's beautiful! I hope one day I can afford one of your beautiful dresses! 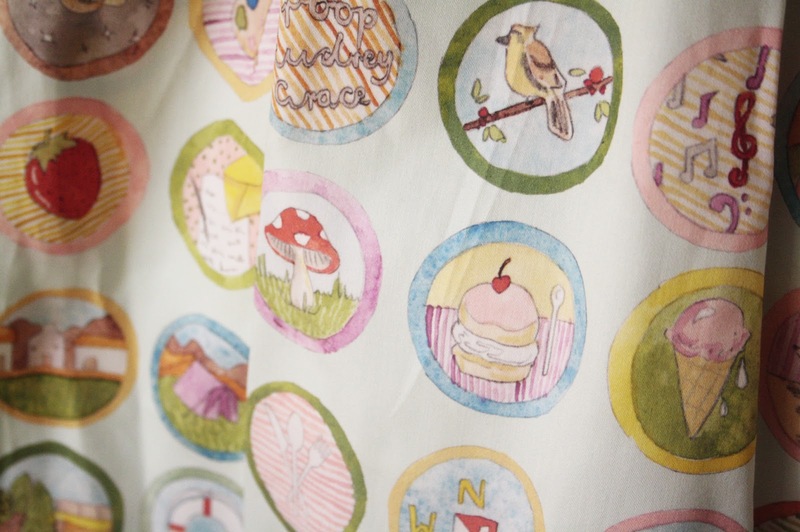 Your dresses are so pretty, I really like them cause they look very sweet. The colors and the prints are just amazing!